Sales, sales, sales. It's all about sales with many companies. They have a one-track mind and their customer relationship management software reflects it. When you're that focused on the bottom line, you actually end up missing out on income-generating opportunities. Here are four ways that you can use your CRM outside of the initial sale and generate more calls to your organization. The sales department can look at the CRM to find data on customer interactions with service representatives. They use this information to make timely outbound calls and connect with buyers. The sales team can improve retention rates for monthly subscriptions, upsell add-ons or features, or encourage customers to increase their plan size or product usage. Regular check-ins also improve the customer relationship, especially if you use calls as one component of an integrated outreach campaign. You can send out emails and direct mail with useful information about your products and services that are related to the interactions that you've had with the customer. Once your potential customers receive this material, you can reach out on a call to find out if they have any questions about the information or if they'd like to find out more about what you have to offer. The customer service department can look at CRM data to see recent customer call activity directly in the CallTools platform during an inbound call. Since this information comes up automatically, the support representatives have background details on why the customer may be getting in touch. If the service representative needs to transfer a client to a different department or person then it's a seamless experience. Since their information is already in your system, the customer doesn't need to repeat themselves. This eliminates one avenue of potential frustration from the process. Another way your customer service representatives can use CRM data is to look at the products the buyer purchased and make recommendations of related items that are useful for the person's situation. They could suggest an upgrade if the customer has an older model of a product, especially if they have complaints that were fixed in the later version. They can also give instructions on how to best use an item if they're struggling with getting value out of it. The marketing department benefits from the wide range of information about both potential and current customers stored in your CRM. They can create data-driven campaigns that are relevant and customized to your buyers' needs to drive calls into your sales department. The sales and service interactions form the basis of the marketing material that the team creates. They can put together content that encourages customers to contact their sales representative about increasing their capabilities or adding on new features to their plans. The marketing team can improve retention by developing campaigns to encourage customers to call support for training or assistance setting up a feature. These customer success campaigns can rescue buyers who have run into frustrations following their initial purchase. The pain that they feel when using the product might not be great enough to get them to call in without encouragement. They might even take their business to a competitor without ever contacting you. This type of marketing campaign proactively addresses that based on CRM data that shows their activity and any signs of trouble. 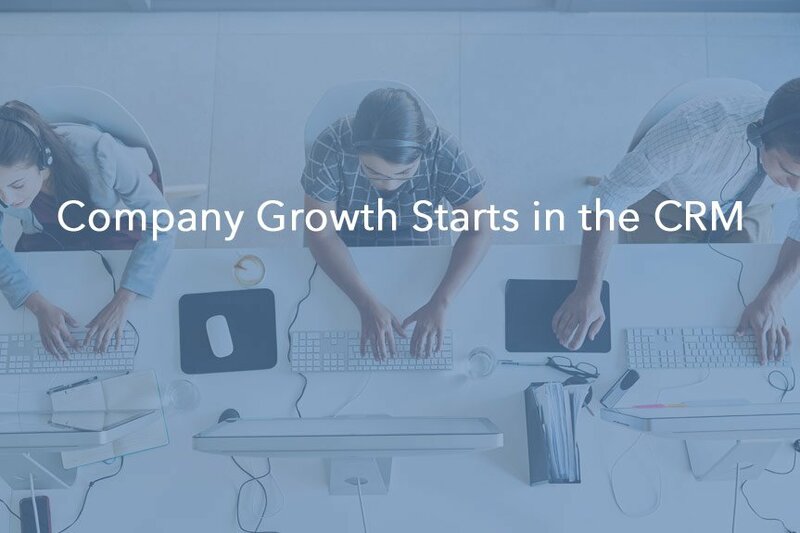 Executives can look at CRM statistics to make informed, data-driven, strategic decisions. They gain insights into the types of customer interactions that their sales and service teams have. This information shows upper management which programs and services generate engagement. A systemic, top-down approach for developing a path for future call helps to drive up the volume of calls while improving the quality of the customer experience. Executives can identify trends in customer interactions to guide the company's overall strategies. For example, they may discover that many of the people calling in first contacted the company through another communication channel. Social media, live chat, and email are all options for starting the conversation and engaging with your organization. You can develop customer support scripts that bring up the phone number earlier in the discussion if it appears that a call will result in a better experience. Executives can also look at the options in the phone system and other support channels to see if they are effective at getting customers the assistance they need. For example, a phone menu may have too many options or lack clarity. If customers end up confused about where they need to be directed to, then they may disconnect the call or end up with a sub-optimal experience. Customer calls give you an excellent opportunity to connect with your buyers, whether they need assistance or you have a chance to improve their experience with product and service suggestions. Your CRM data offers far more value than simply being used to push for more sales. The relationships that you can build through these generated customer calls build up a loyal audience that encourages long-term growth. Integrating your CRM system with a powerful dialing software like CallTools creates the perfect pair for your whole company. Sales is heavily based on numbers, missing out on important real time metrics can result in a loss of revenue. 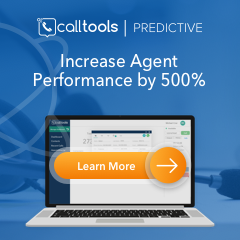 Are you receiving information about inbound and outbound calls made by your sales team in real time? See what metrics you could be losing to your CRM and start capturing real time data today.